Welcome to Mercy Ebute's Blog: The Hunt Is Over - Interesting Pre-Wedding Photos. 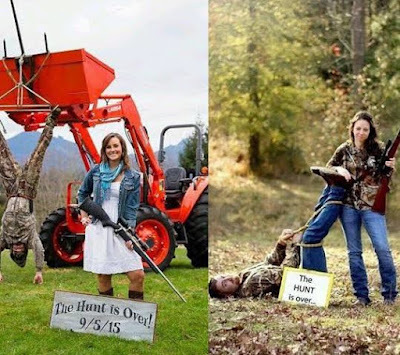 The Hunt Is Over - Interesting Pre-Wedding Photos. Truly interesting wedding photos. Thanks for sharing these photos. I also want to have such creative photo shoot on my big day. We will also be having reception at one of popular wedding venues. Eagerly waiting for my big day! Mackyton, the big day will happen soon and it will an awesome day for you. Hope you will invite me. Thanks for the visit to my blog.